Devil may cry is an action adventure third-person shooter video game released in 2001. The theme of the game sets in modern times and revolves around Dante. Dante is a demon hunting vigilante who uses his business to get the revenge on demons for the death of his mother and brother. 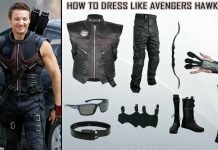 He has become one of the most popular characters of the gaming world. Dante being the son of a devil himself possess super human powers that he uses for his own advantage and he won’t stop until he avenge the death of his mother and the loss of his brother. 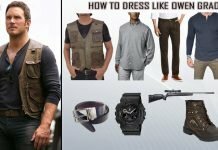 Dress up like this ruthless daemon hunter and live your gamers dream. 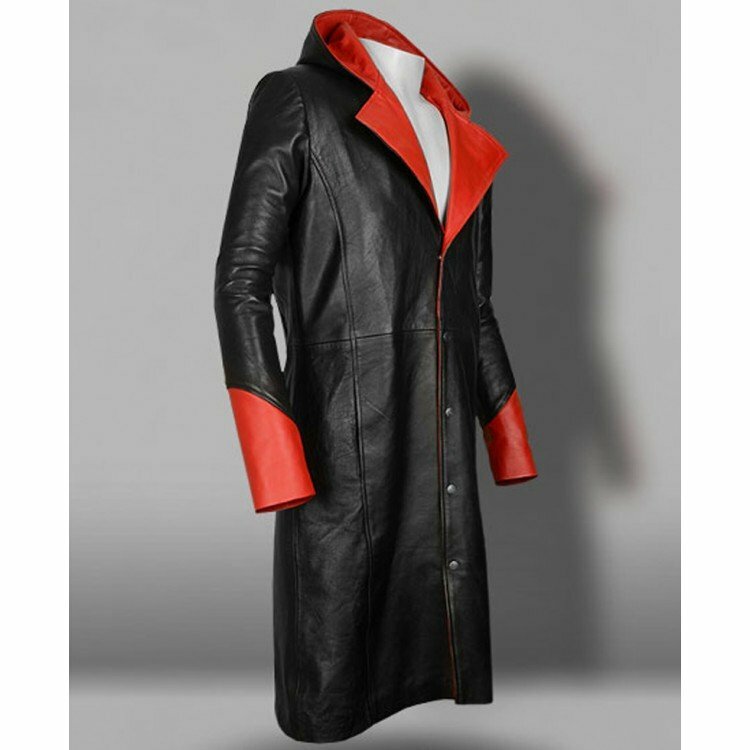 This brilliantly black coat with red detailing is the exact replica of the coat worn by Dante in the Devil may cry gaming series. 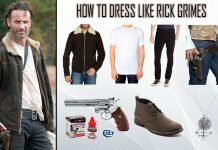 It’s made with high quality leather and features Lapel collar, Hoodie and red lining along with picture perfect detailing and durable stitching. 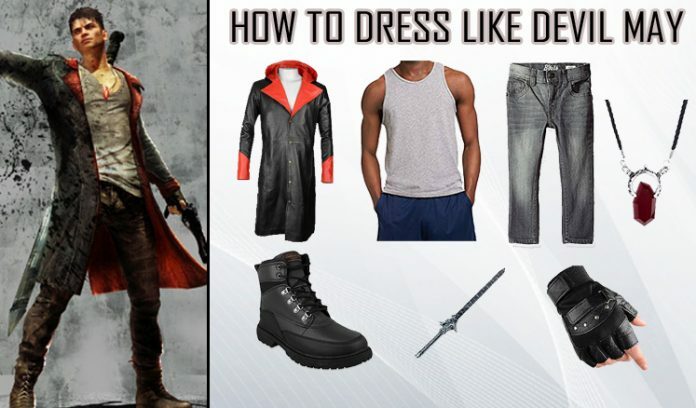 It’s an absolute must needed item to start with the Dante costume. 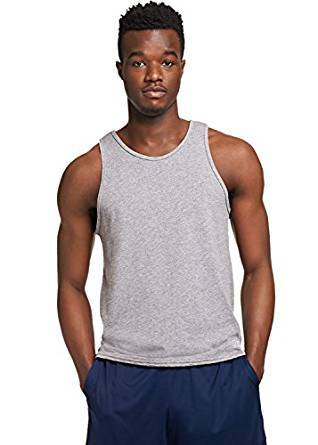 This Men’s essential cotton tank top goes perfectly well under his hoodie jacket. Made with a high quality cotton with polyester blend to give you a comfortable experience. The light weight cotton blend provides maximum softness with a smooth texture. 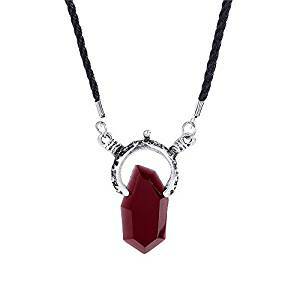 To give your daemon avatar a detail look get this pendant for Dante costume. Fabulously red in color to match with the jacket and Made with zinc allow metal, along with PU leather and rasin this pendant is a must needed detail. 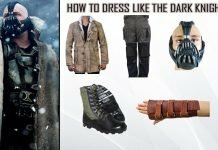 The leather gloves are another detailing necessity of the devil may cry Dante costume. 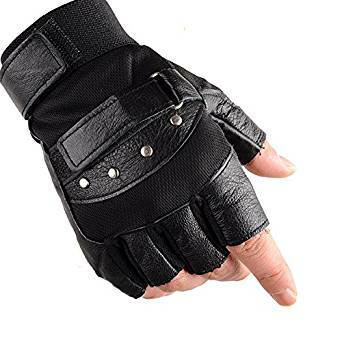 These gloves made with high quality genuine leather provides with excellent elasticity along with Adjustable leather wrist strap. Apart from the devil may cry these gloves can come handy in other costumes or would be great for outdoor activities. This marvelously twilight grey jeans complements the grey tank top worn under the black and red jacket of Dante costume. Made with high quality cotton fabric this double stitch denim jeans is durable and tough enough to last longer. 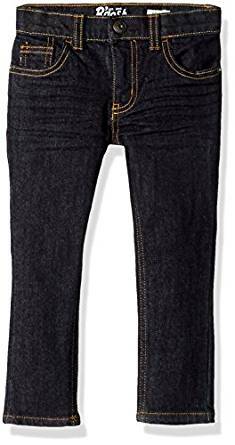 The adjustable waist feature of this jeans will give you the much needed flexibility and fit. 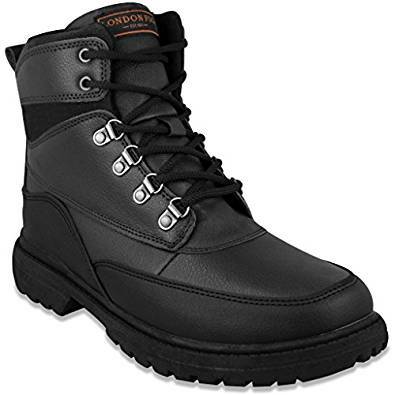 These Gorgeously Black, water proof boots are a beautiful yet tough solution of the cold. Seeing these boots you know that you need them anyway. 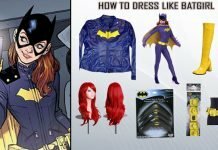 Pair it up with Dante costume Jacket and jeans to give your look a Powerful boost. You can’t be a daemon slayer without having something to slay with. Get our point? 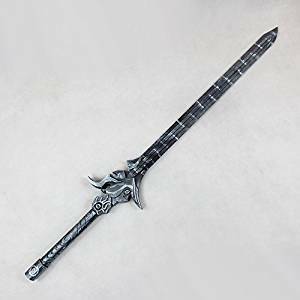 This Dante costume sword sounds like a perfect solution for that slaying problem. 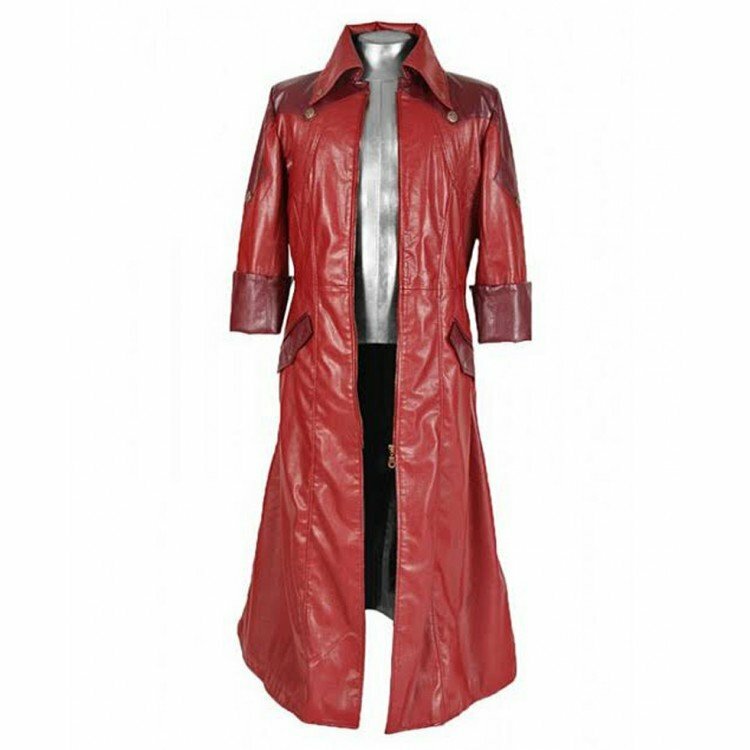 In the 4th installment of the devil may cry series, Dante gets a bit of a makeover with this shiny and sleek hot red leather jacket. The jacket is made of high quality leather and soft inner polyester lining for your comfort. Apart from being a perfect 10 this jacket features full length sleeves, flapped side waist pockets, folded cuffs and a fine quality stitching. 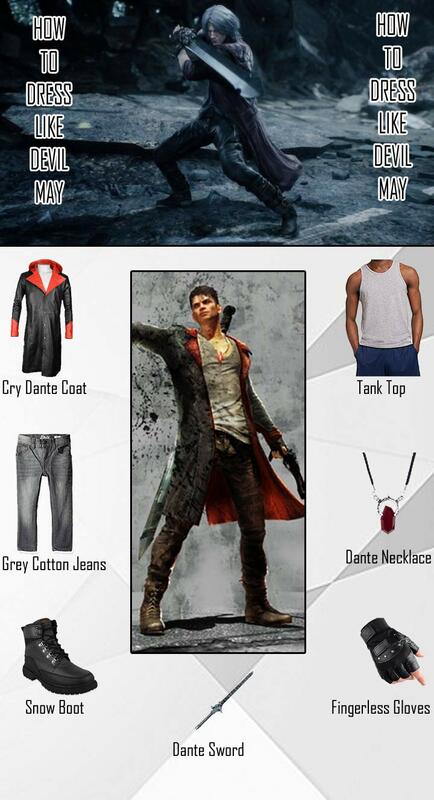 This double-stitched denim pant made of 100% cotton fabric is a must need for Dante costume in devil may cry. 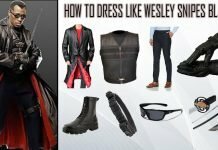 Add these much needed accessories to give your devil may cry costume a powerful boost.